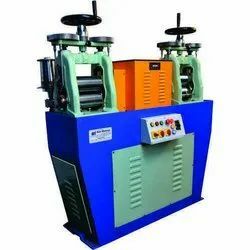 We are a leading Manufacturer of double head heavy duty wire & sheet rolling machine, 3 hp gold automatic rolling machine, 8 x 4 inch double wire rolling mill, wire & sheet rolling machine, 8 x 6 inch single head heavy duty sheet rolling mill and 8 x 4 inch double head rolling machine from Ahmedabad, India. 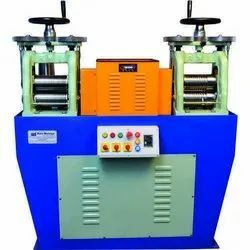 We offer Double Head Heavy Duty Wire & Sheet Rolling Machine. Application for this machine used in exclusive for chain plant & wire making industries. This model available for making strip or wire for precious metals like Gold, Silver, Platinum, Brass, Copper, Palladium. We offer 3 Hp GOLD Automatic Rolling Machine to our clients. 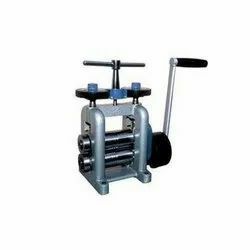 We are leading manufacturer, exporter of rolling machines are widely used in Gold & Silver industries. with varieties like singles head, small type, standing type. these are products are used widely in Middle-East, Gulf Countries, American Market, European Market. We offer Wire & Sheet Rolling Machine. The offered machines are easy to install and are compatible with a wide range of metals. These machines find wide application in the jewellery industry and provide precise results. Customers can attain high efficiency in their operations with the use of these machines. We offer 8 x 6 inch Single Head Heavy Duty Sheet Rolling Mill. 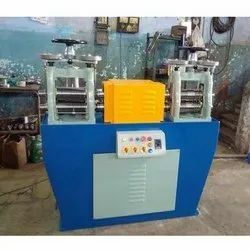 The offered machines are precision engineered as per the latest industry standards and are widely recognized for their hassle-free performance. Rendering efficiency to operations, these machines are highly appreciated by the customers. 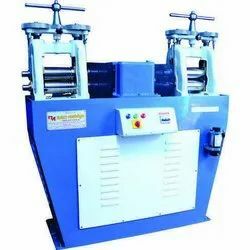 We offer 8 x 4 inch Double Head Rolling Machine. We offer Rolling Mills Hand Operated. Backed by a team of experts, these rolling mills are manufactured using optimum quality raw material and advanced technology. Our offered range is precisely designed, in order to meet the international standards. Furthermore, our provided range availed in various specifications, as per the varied needs of our valuable clients. These mills are stringently tested on various parameters to assure it on counts of quality. 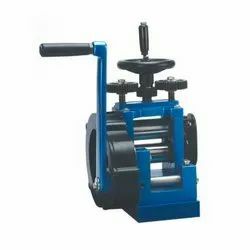 We offer Mini Rolling Mills. These mills are strongly constructed using high-grade raw material and advanced techniques. To meet the diverse requirements of our esteemed clients, the offered range is available in different sizes and specifications. Furthermore, clients can get these mills from us at the most reasonable prices. We offer Rolling Mills Hand. 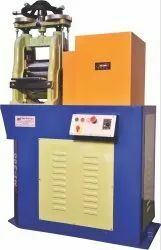 These mills are available in different designs and other related specifications, in order to meet the variegated expectations of our valuable customer. Our provided range is rigorously tested by the team of our professionals. Furthermore, our clients can avail our offered range from us at market leading prices.